We have teamed up with equestrian hub and their fantastic E-Zine publication Hub Vibes to showcase a rider of the month. 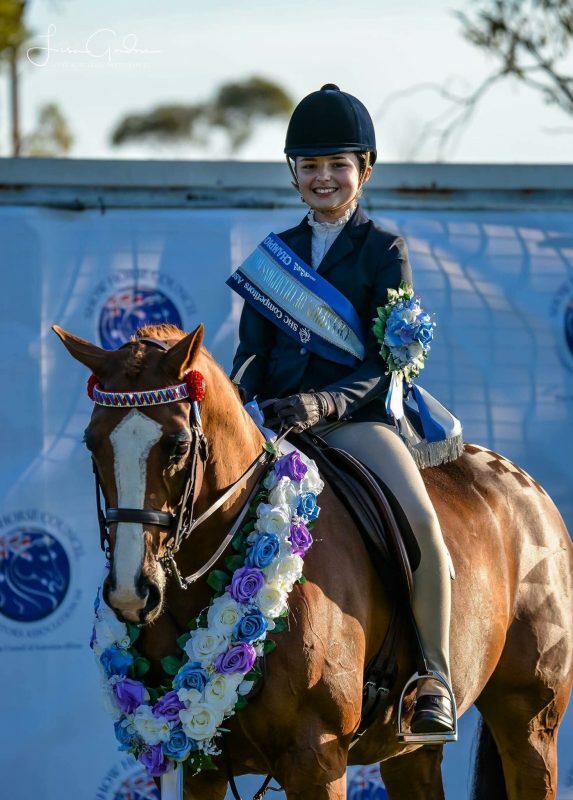 Each month Hub Vibes will select a rider to appear in their popular magazine and also here on Filly and Co. Each rider will receive a personalised gift from Filly and Co.
Like many of our Young Riders, Victorian-based 15-year-old Georgia Davey was riding before she could walk. “My love and passion for horses started the moment I sat on one,” she says. Georgia has big ambitions for Marty. “I’m aiming him to qualify for Grand Nationals and Nationals next year,” she says, “and I’m going to work hard to achieve that!” In the meantime Georgia is in Year 9 and although she hasn’t figured out what she wants to do when she leaves school she knows it will be horse-related. Head over to Hub Vibes to see Thea in the magazine and other great content. If you are a young competition rider and would like to be considered for the Filly & Co and Hub Vibes Young Rider of the Month you can apply by completing this brief application form.